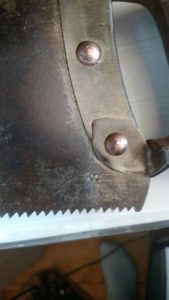 After looking through my very limited Disston documentation, Disston Institute and Hand Saw Makers of North American, I couldn’t find a thing on this Disston D-24. Google had nothing. I hope this helps that situation for those looking in the future. 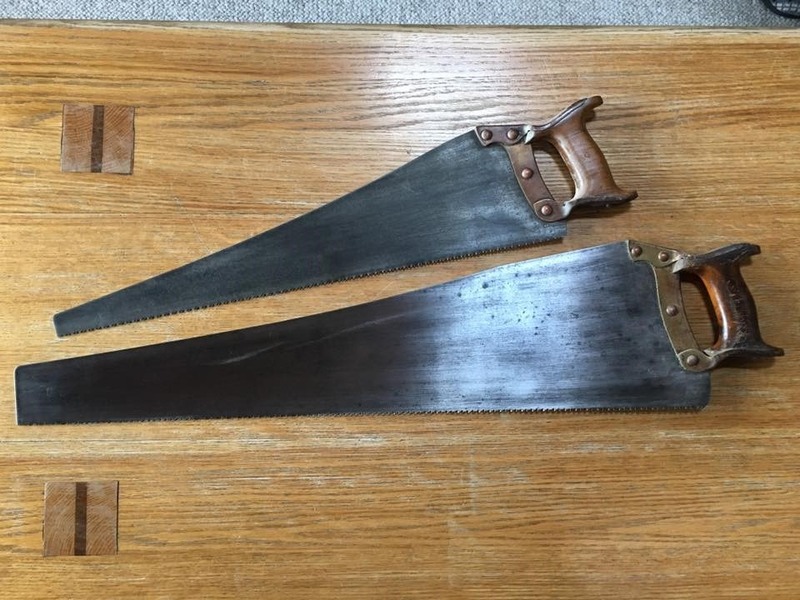 After some help, I found out this was a saw that was originally sold by Harvey Peace, then after Disston bought out Peace the saw was sold by Disston. The earlier version sold by Peace had a straight back, and the later ones sold by Disston usually had a “sway back” like the D8 made popular. 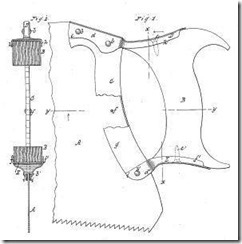 The patent was by Almon Lord – Brooklyn, NY. 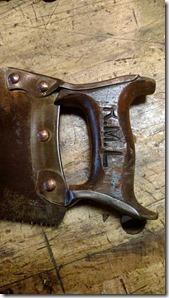 A Metal strap is riveted to the blade and attached to the handle by screws. Very similar to, and references Hankin’s patent 295,385, with the exception that the metal “clamps” the handle by extending past the top surface to embrace a portion of the handle side. The Harvey Peace version (Harvey Peace No. 15) was made by Harvey Peace at the Vulcan Saw Works in Brooklyn, NY. The Harvey Peace No. 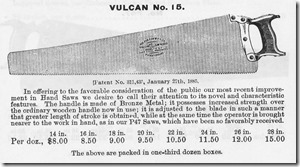 15 appears in the 1895 National Saw Company catalog twice as a normal handsaw, and a few pages later on in a smaller form as a “pruning saw”. It does not appear in the 1884 Peace catalog, so I have read. 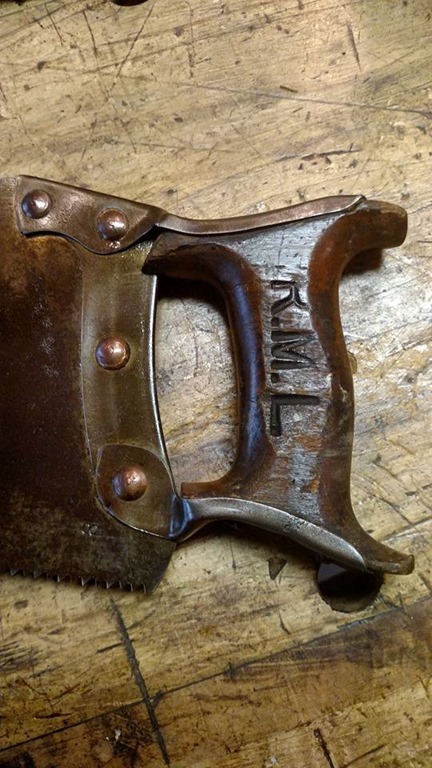 The design was carried on into the Disston line after the National Saw Company was acquired/integrated/disbanded in the early 1900s. 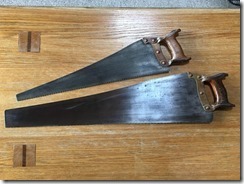 Disston produced a model D-24 pruning saw as well. It’s identical to the Peace saw. The D-24 appears in the 1914 Disston main line catalog. 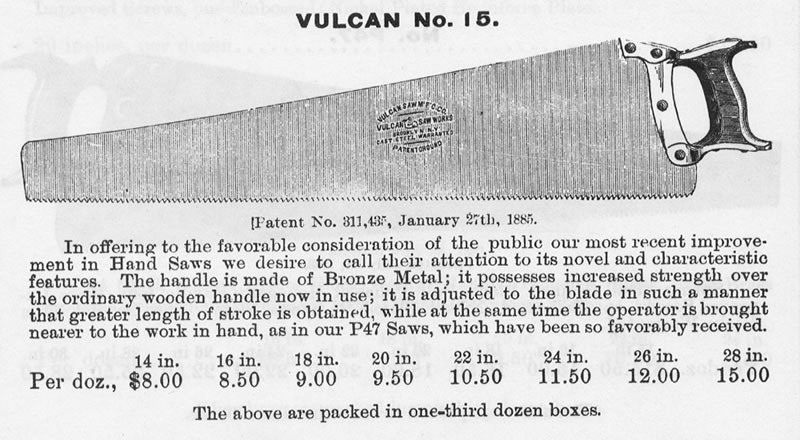 For more on Harvey Peace and the National Saw works, see “The History of Harvey W. Peace and the Vulcan Saw Works” at Hyperkitten. Where I’m stumped is in some of the information I’ve received. 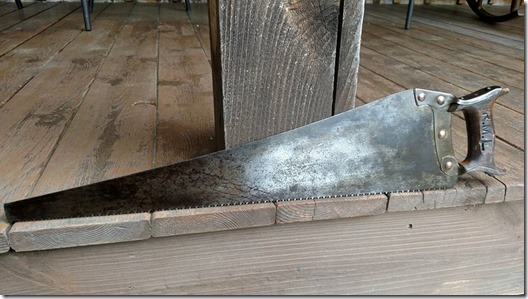 I’ve read and been told that Disston only sold this saw as a Pruning Saw. Mine however is clearly an 8 tpi (stamped from the factory) crosscut. 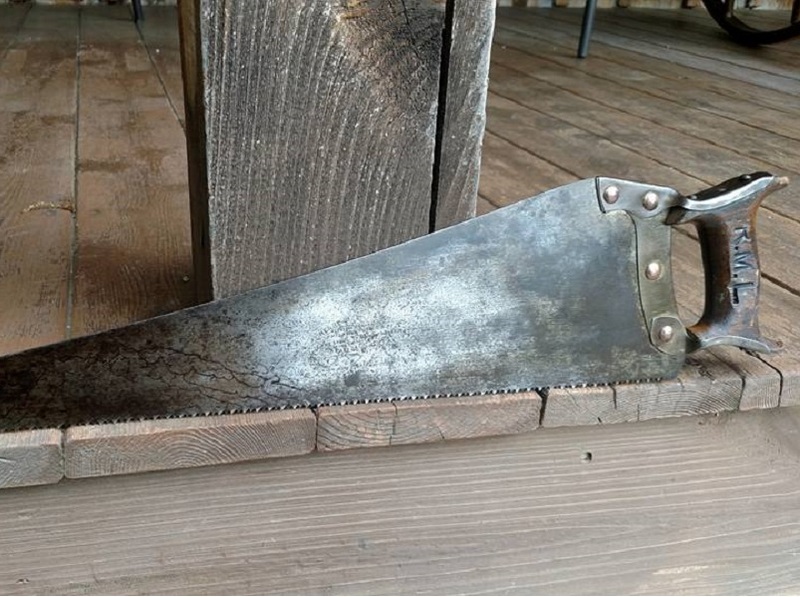 With an 8tpi, would it have been sold as a pruning saw? 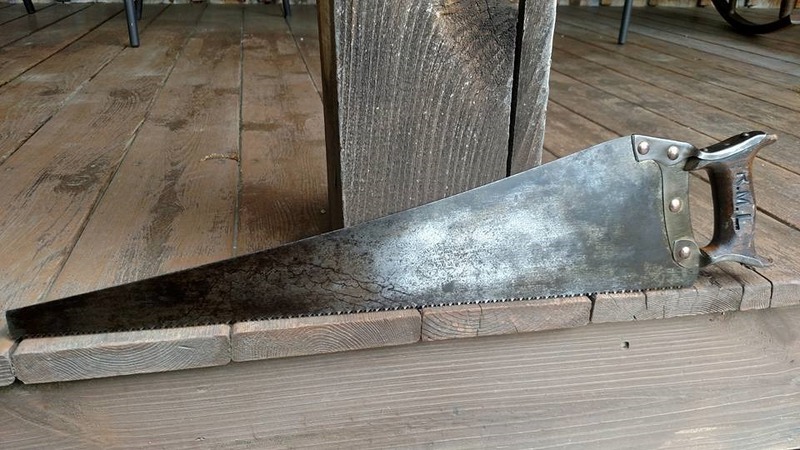 What I would like is some Disston literature that shows this saw, hopefully with proof on way or another.